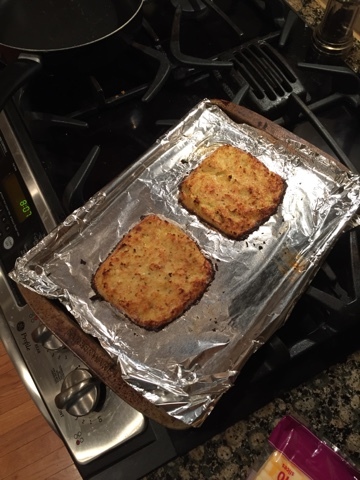 as the wine cork turns: cauliflower grilled cheese. i know what you're thinking because i didn't believe it either. 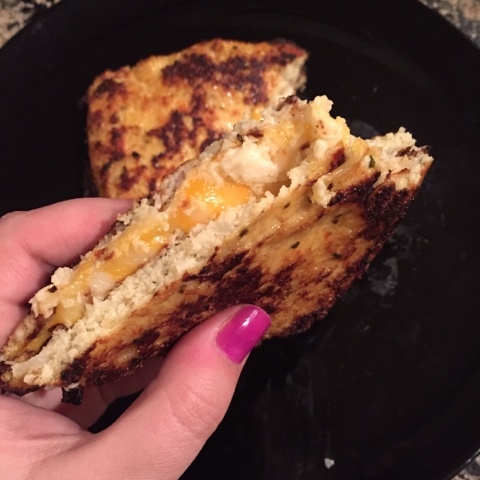 but when i posted this cauliflower grilled cheese on my instagram last week, it went nuts with a lot of oooo's and aaaah's and even some i don't believe it's. 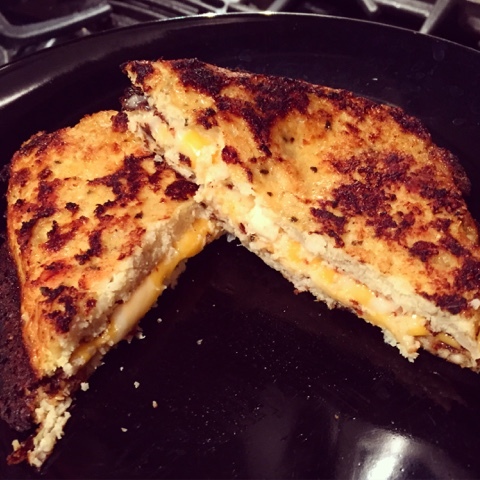 well, it's a real life thing that you can make a cauliflower bread grilled cheese. go ahead and add on a second piece of cheese to this because (i don't know if i mentioned it but) the bread is freakin' cauliflower! i will say this sandwich is no joke time-wise and i underestimated just how long it would take going into making this. regular grilled cheese sandwiches take...what? 5 minutes? this took around 40 minutes to make. you do have to bake the "bread" essentially for the "bread" pieces so that's the most time consuming. so how do you make this ooey gooey goodness so that your mind is no longer turning in circles wondering? what you do: preheat oven to 425. make sure your cauliflower is finely chopped or pulse in the ninja until small rice-like pieces. put all of the cauliflower into a microwave safe bowl & microwave on high for 4-5 minutes until the cauliflower is cooked. let it cool. now is the most important part. strain all the water out of the cooked cauliflower that you can get. i yielded about 3/4 a cup of liquid. then combine the dry cauliflower in a bowl with the egg, parmesan, salt & pepper until it's like a dough. form into bread piece sizes and bake for 16 minutes on a greased pan. be sure to check the bread periodically so it doesn't burn. adjust the time depending on your oven. take out the bread pieces from the oven & let cool. carefully assemble the sandwich as you would normally for a grilled cheese by lightly buttering both sides. cook for 2-3 minutes on each side & flip until golden brown. 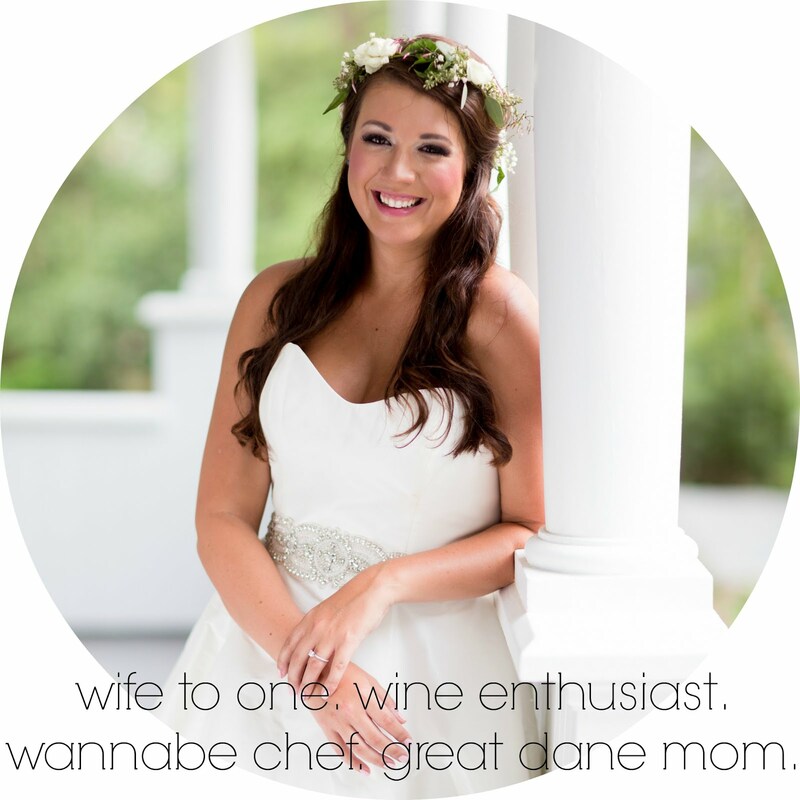 instagram your creations and blow peoples minds.